The second book, The Ghost in the Machine, comes out in October. In the meantime, you can check out a bunch of cool sites until the release, and see what's going on behind the scenes! Follow writers, directors, and actors through Twitter, vlogs from the set, production photos, and live chats. The back lot gives young readers an unparalleled look behind the scenes as we create, shoot, and edit the next project. This is where readers can find out quickly what's happening from day to day. Check it out, it's really fun! 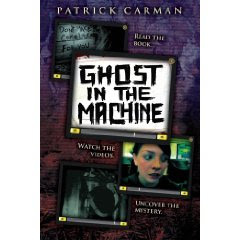 I can't wait to see what happens in Ghost Machine! 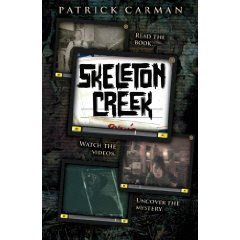 Skeleton Creek ends with such a cliffhanger!